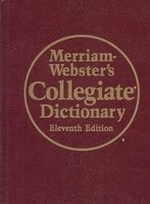 Ray Del Savio has launched a weblog in an effort to drum up support for getting the word "concept" added to the Merriam-Webster Collegiate Dictionary as a verb. Of course, all of us in the business who've been using the word to describe the act of coming up with an overall ad or campaign idea have been using the word as a verb forever. Savio's blog cites the Dictionary currently only recognizes the word as a noun and adjective. 1. A process whereby ideas are generated for the purpose of creatively solving a problem: "The team set aside some time for concepting in order to flush out some plausible directions." There are 56 signatures so far. We're all for it. What about you? 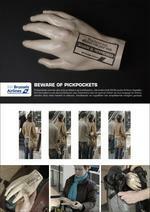 To call attention to pockpocketing, Brussels Airlines resorted to a sort of anti-pickpocketing campaign and placed fake, rubber hands inside un-attended bags. Aside from the fact most people would freak out and scream if they came back to their bag and found a hand inside, we're guessing airport security wouldn't be too happy with this marketing scheme. Not to mention the possibility of those inserting the hands accidentally finding themselves faced with a bag full of explosives or some other nasty find. 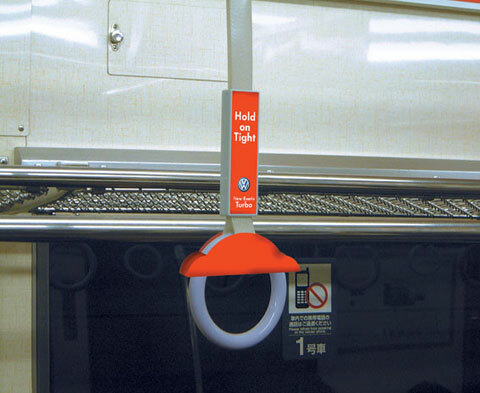 Still, we have to admit this is very effective at getting attention. LG&F came up with the idea. We've seen all manner of tricked out shopping bags from bags that make it look like you are carrying a gun to bags that place your hand inside a mouth to bags that make it look like you're being hung from your hair. Now, we have a bag that, when properly carried, makes it look like you're walking down the street in your underwear. 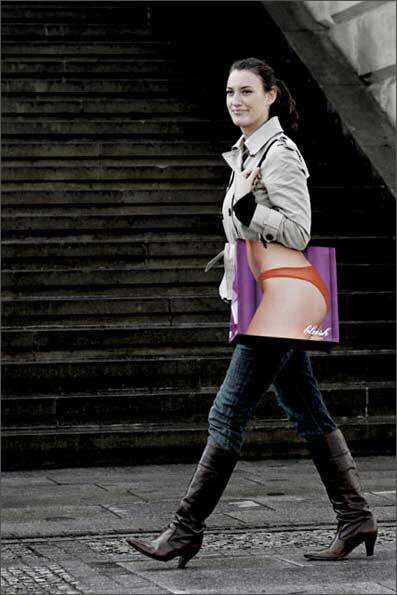 We're not sure who the advertiser is but we're sure the bag's visual is far too distracting for anyone to notice. OK, it's Blush.